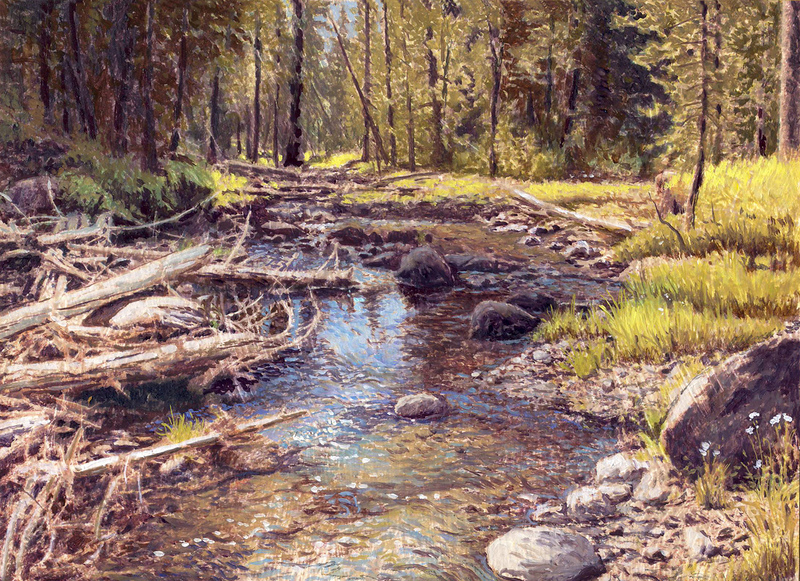 fun and challenging to sketch and then paint the tangle of new dead fall fringing this pretty little creek. I stumbled upon your amazing artwork this afternoon when I stepped into the Christopher Queen Gallery in Duncans Mills. Wow! I love, love, love your miniatures and commentary, especially those accompanied by the delicate drawings of your fly fishing rod, line, and flies. My favorite is the Cutthoat Trout. Hi Nancy, Thanks for taking the time to comment. 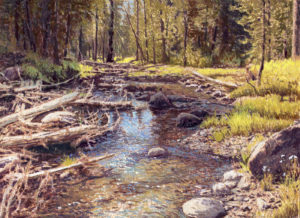 Spending time outdoors doing the two things I enjoy the most, creating art and fly fishing is a fantasy and I am thrilled that the art experience for you communicated that fact. Hope you enjoyed Christopher Queen Galleries. Nancy, Tiare and Gary are the best and the Gallery is always fun to visit.